The mission of the Beca Project is to promote a culture of opportunity and hope for children by improving access to education and healthy living. 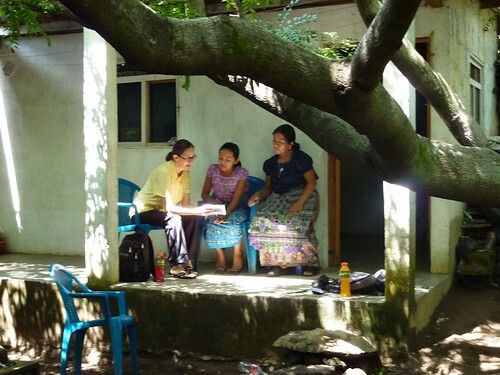 The week of July 11th-17th I had the remarkable opportunity to visit each of our Beca students in their homes. 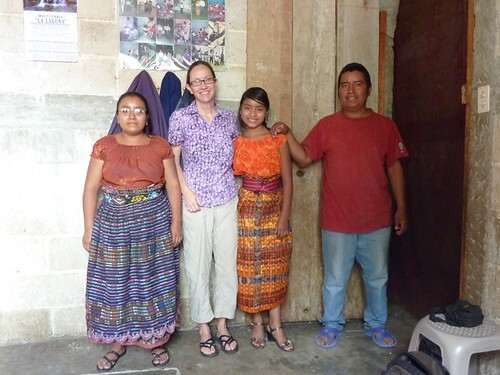 The families are all native Tzutujil speakers, a Maya dialect; the students have learned to speak Spanish in school. Mynor, our point person in San Pedro, translated between my Spanish and the parents’ Tzutujil. I shared photos of my family and letters and photos from their sponsors. I gave each student a small blank book for drawing and writing about their dreams and plans for the future and we talked about their grades, their favorite subjects, and their career aspirations. The families were so gracious and welcoming and so thankful for the assistance, often telling me they considered the assistance to be a gift for the whole family, not the student alone. It was one of the most powerful and emotional weeks of my life. I’ve posted a few photos below and you can view the entire set on Flickr.